Come visit us this weekend. It will be a great show! I’m going on a Staycation. Over the past year I’ve been one busy girl, hurriedly finishing up one idea/project and moving straight to the next. I’ve been blessed with lots of new opportunities but to really give 100% of myself and my creative abilities, I need a break! I’ve finshed up my priorities and this seems like a great week to give this a shot. Which means I’ll roll outta bed when I want, I’ll binge watch all the Real Housewives, and I’ll take Daisy on longer walks. My house will be clean. My refrigerator (or ice box which is what we call it in Oklahoma) will be spotless and organized. My shower will be squeegeed and free from streaks. I’ll take my time driving. Hell I might actually go for a drive ‘just cause‘. I’ll drink when I want and eat what I want. I’ll enjoy the smell of the blossoming trees with my windows open while it lasts. I might nap. I will cook dinner. I’m definitely going to take my time and flip through every page of these books I’ve collected over the past year. I might even make something from one. Or I might not…it’s my Staycation and I’ll do what I want! The shop will still be open and I’ll be answering convos and emails. Your orders will ship on Friday. Thanks friends. I’ll be back next week! SewMod will be on a short break for Easter & Spring Break. If you place an order March 25th, 2016-April 3rd, 2016, your orders will ship April 4th, 2016. Thanks so much for your patience while we enjoy our short Holiday with family & friends. SewMod has been invited to host our Handmade Littles presentation…‘Small ways to create fun things with fabric’. We will be doing a presentation on a variety of small projects designed by SewMod and other artists. We love to make quilts but it’s also rewarding to sprinkle in some of the Littles along the way. We will have quilt examples and sewing patterns showing how we use up scraps, feature our favorite fabrics, and create unique, fun items for gifts. SewMod Is Having A Sale! 2015 was an fabulous year and we couldn’t have done it without you! We attended successful quilt shows and met many new quilters in person and on the Etsy shop. We look forward to another creative year! All yardage in the shop is 20% off and that includes all of the Oval Elements in stock! So fill up while they last! All Sale fabrics are marked down to under $5.00! Choose from a variety of Art Gallery, Blend prints and many others. Most of these would make great backings for those unfinished projects and charity quilts you’re working on next year. Sale runs Sunday, December 27th, 2015 thru Thursday, December 31st, 2015. SewMod is taking a short break for the week but I will still be answering emails if you need to convo me. SewMod is on Spring Break. I’m headed to sunny weather, blue skies and looking forward to wearing flip flops for a bit:) Hopefully I’ll have a tan and a few quilt shop visits to share with you after I return. If you’ve made a purchase from the blog or the Etsy shop, I will be shipping your packages ASAP on Monday morning, March 30th, 2015. Here’s to some relaxin’ & chillaxin’! Now, I’m off to find the best margarita in town y’all…cheers! Thanks so much for stopping by & for your patience. 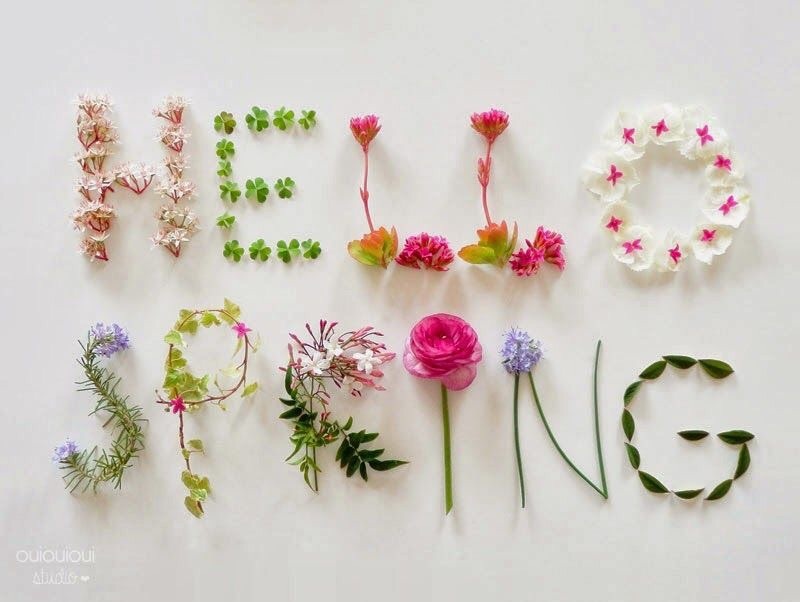 Have a Happy Spring!